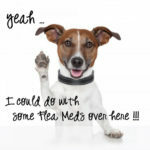 Treatment for Fleas on humans differs than Fleas on a dog, learn about Flea treatment remedies for human Flea bites. The only species of Flea that lives on humans is known as Pulex irritans, and this Flea feeds on human blood. 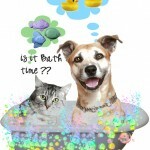 Fleas carry and can spread diseases such as Tapeworms, Murine typhus, and in certain parts of the world, Bubonic plague. Fleas are dark brown to black in color, are very tiny and are the shape of a teardrop. Most often you won’t have a Flea biting skin on your head, but Fleas do live in the hair on your head. Most of the time Fleas will bite your arms and legs, especially in the folds of your arm and knees. Fleas like moisture. You might also find Flea bites on your back, waist ankles and armpits. Flea bites on people tend to be 2 to 3 bites in a row, rather than a bite here and there. Flea bites on humans form a red lump that itches like crazy. Once in a while a red halo forms around the lump. If you’re one of those people that’s allergic to Flea saliva, watch out for whole body itching sensation from Flea allergy dermatitis. 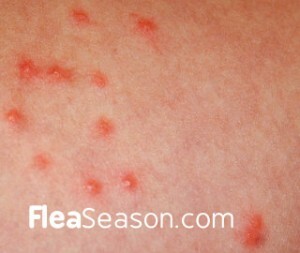 Adults and children with a severe reaction to a Flea bite may scratch the bites until open sores are developed. An allergic reaction will normally develop within 12 to 24 hours after the Flea has bitten you. 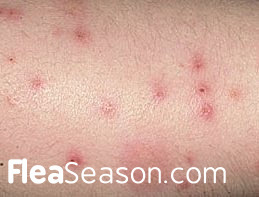 If you experience an allergic reaction to Flea bites, (allergic dermatitis) you might have an outbreak of hives that surround the entire bite area. The Hives may become swollen and sensitive. Do Not scratch! If you do – things will only get worse. Treatment for Flea bites on humans is different than for dogs and cats. 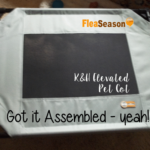 Don’t use Flea killers meant for pets on yourself because either you’ll get really sick, or they just won’t work. 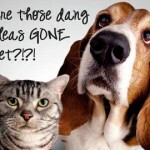 There are home remedies for human Flea bites you can try – if they don’t relieve the Flea bite area, then you should consult with a physician. 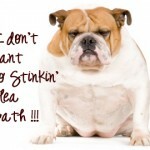 Wash Flea bites with an antiseptic soap to prevent infection. Follow with a cold compress or ice pack to reduce swelling. To reduce itching – apply a topical solution such as 0.5% or 1% hydrocortisone cream or calamine lotion. 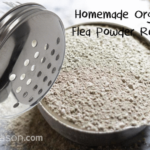 A natural option to these is to mix baking soda with a small amount of water until it forms a semi-thick pasty consistency. 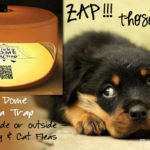 You’ll have to apply the baking soda mixture to the Flea Bite area five to six times per day. 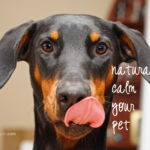 Other things you can do to reduce Flea Bite pain and/or itching is to take Benadryl liquid or capsules, and use a cotton ball soaked in Hydrogen Peroxide to clean the bite area. 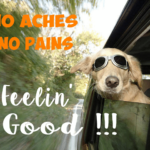 Absolutely – Do Not scratch your Flea bites! If you scratch Flea bitten skin areas, you’ll most likely start bleeding and this leads to scarring. Scratching can also lead to an infection. 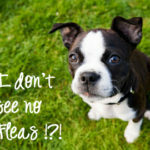 If your flea bite areas worsen or if you notice a discharge oozing from the bites – contact a physician as soon as possible.